Tired of invading dungeons? It’s time you build your own! Do you feel you are in a slump? Monotonously disemboweling evil guys in endless quests for gold and a slightly better pair of boots? You are starting to wonder… are heroics really your calling? 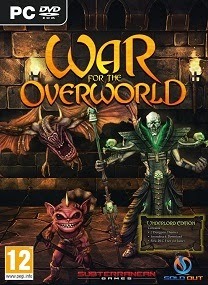 Welcome to the War for the Overworld! 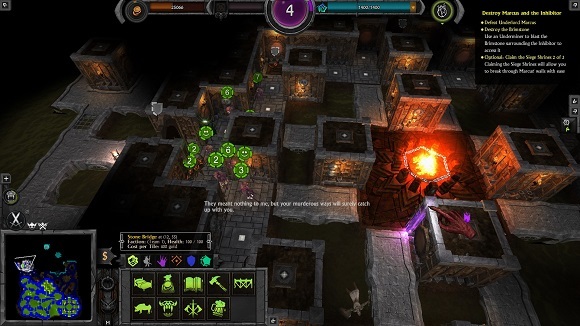 • Build Your Dungeon – Excavate and build your dungeon beneath the earth of the Overworld. Design it’s layout as you see fit, creating an underground fortress filled with a wide variety of rooms, each with a unique use and purpose. 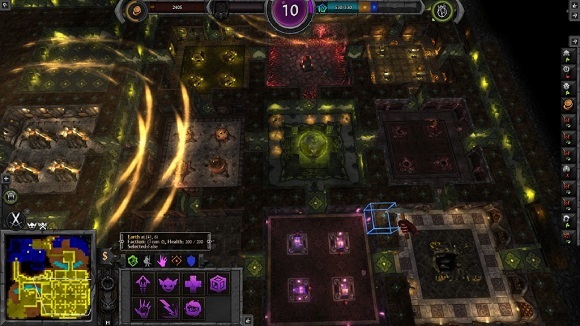 • Veins of Evil – Choose from over 60 rooms, spells, potions, rituals, defenses and constructs in the Veins of Evil as you progress through the game. There are a plethora of possible Vein combinations you can use to conquer the Overworld. Create your own unique flavour of evil! • Fortify Your Domain – Build a wide variety of defenses within your walls to defend against — and destroy — those who seek to invade your domain. • Cast Wicked Spells – Call down unholy magic to strengthen your dungeon, route enemy forces, flood corridors with Micropiglets, or simply turn a meddlesome Hero into a geyser of giblets. 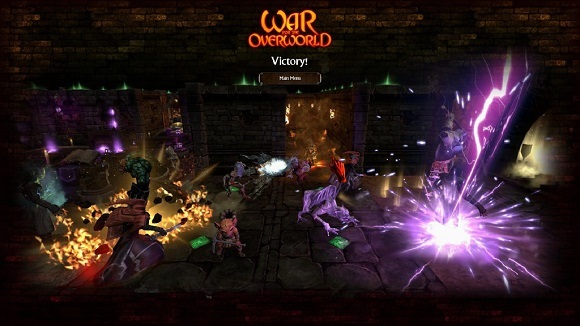 • Unleash Devastating Rituals – Punish your foes or empower your own forces with game-changing Rituals that can do anything from raising an undead army, to instantly fortifying your entire dungeon. • Command Powerful Minions – Over 20 minions await your call, and will gladly work and fight under your banner… if you provide them with all the creature comforts they demand. 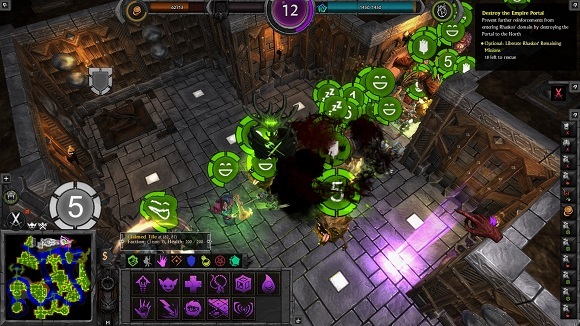 • Destroy your Rivals – Take the fight to your rival Underlords in Skirmish or Multiplayer matches with up to four players! • Test your Mettle – Run the gauntlet of the prototype Survival mode and see if you can top the high score against waves of enemies!